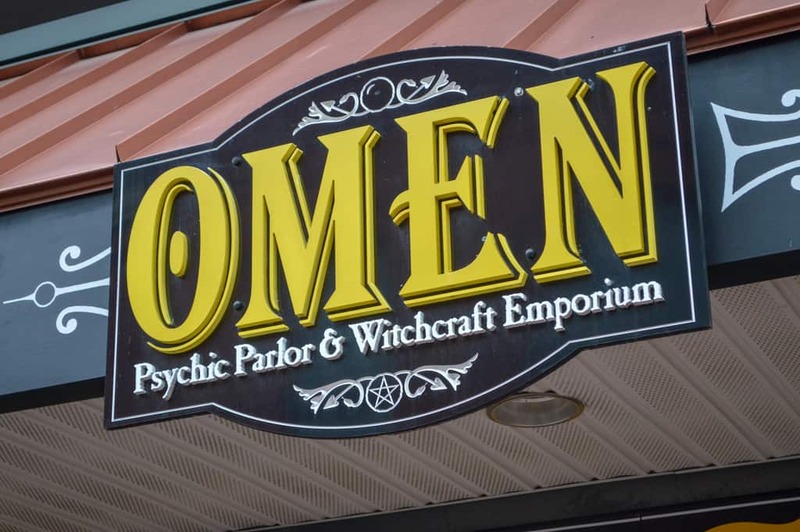 Omen Psychic Parlor & Witchcraft Emporium - Shopping, Tarot, & Review! January 22, 2019 February 8, 2019 Psychics, Mediums, Tarot, & Witches in Salem, MA - Readings, Healings, & More / Shops in Salem, Ma - Tattoo, Witch, Gifts & More! 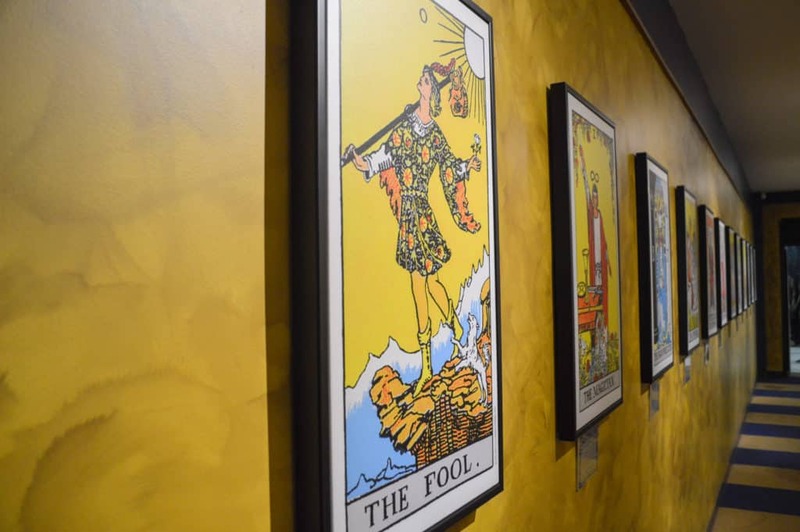 If you’re looking for a Salem tarot card reading, you might want to give Omen Psychic Parlor & Witchcraft Emporium a look. You could also take this little quiz to find out the perfect spot for you. 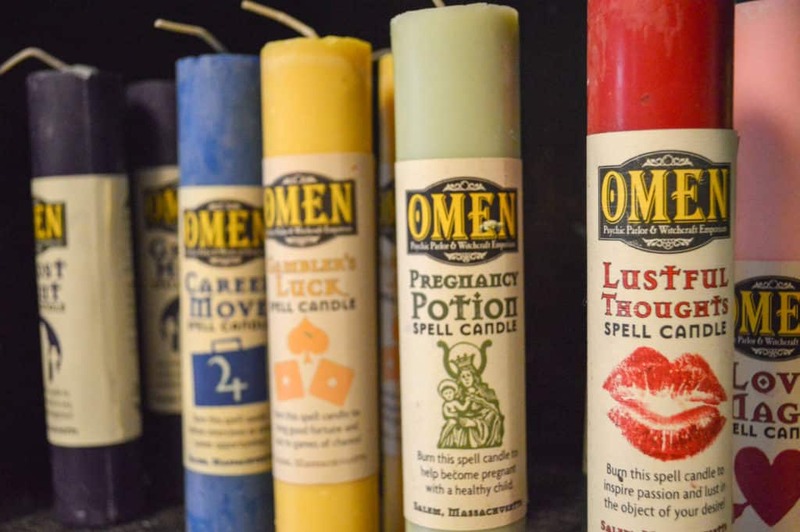 Like many witch shops in Salem, Omen offers a wide variety of new age items. 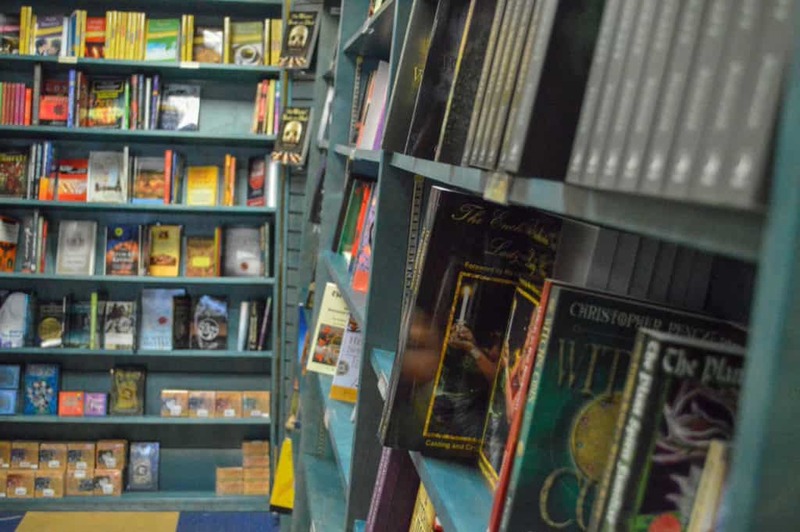 Inside you’ll find candles, incense, stones, tarot cards, and a nice selection of books. 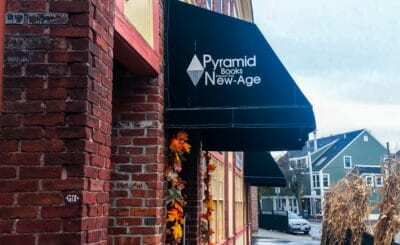 The staff expanded the book selection in 2018 and it now rivals the volume of pretty much any other in Salem – except for Pyramid Books’. Omen features a shifting variety of divinatory experiences. 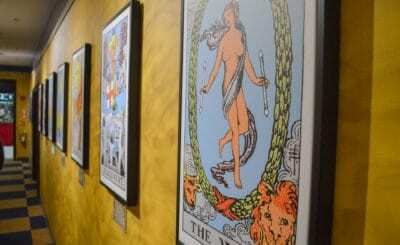 I’ve personally had both a Rider-Waite-Smith and Thoth deck tarot reading there. And out of those, David Newman’s Thoth reading was one of the more interesting and rewarding I’ve had in the Witch City. Depending on the staff and time of the year you visit, you might also be able to get palm readings, séances runes, and more. A little background information is unfortunately necessary to understand my feelings on this store. Omen is the sister store of Hex, also in Salem. Hex was founded by a guy named Christian Day, along with a few friends. Like Hex, style is most definitely prioritized over substance here. If you are new to the world of witchcraft or new age thought, Omen is a great spot for you to see what it’s all about. If you’re more seasoned, you’ll likely find the overall branding and tone to be a tad on the nose. I still stop in frequently myself and appreciate the definitive branding at Omen. But I can’t help but wonder where they source their materials. How much of their visible beliefs are authentic? And to what degree is the entire experience is a blatant money-grab? Then again, I find myself having that inner dialogue a lot in Salem, so why should Omen be any different? 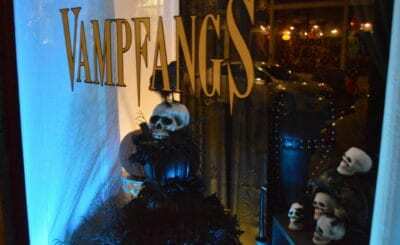 Hours: 11AM – 7PM everyday, but hours are likely changed around Halloween.